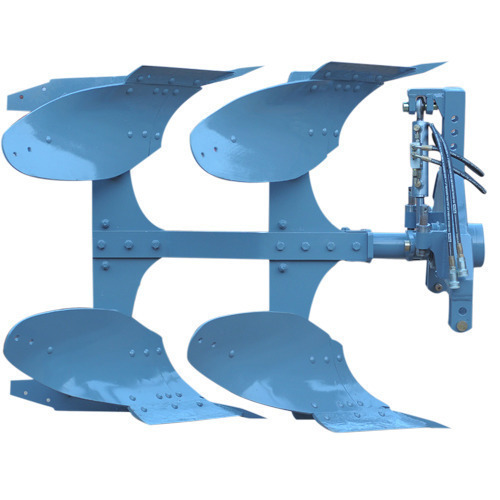 Our company has marked a remarkable position in the industry by offering an exceptional range of reversible plough. The reversible plough is an automatic furrow changing system which is easy to operate along with efficient attachment and detachment features. The product is manufactured using supreme quality raw materials obtained from trustworthy vendors in order to facilitate a longer service life and structural rigidity. These reversible ploughs are designed for the toughest performance. These are highly appreciated for their durability and low maintenance. The offered range is available with us in different sizes and dimensions as per the market needs at industry leading price.